Nyhavn (Danish pronunciation: [ˈnyhɑwˀn]; New Harbour) is a 17th-century waterfront, canal and entertainment district in Copenhagen, Denmark. 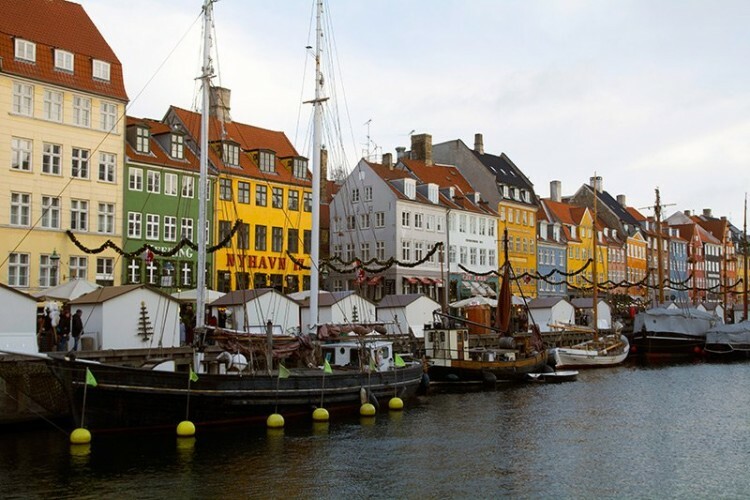 Stretching from Kongens Nytorv to the harbour front just south of the Royal Playhouse, it is lined by brightly coloured 17th and early 18th century townhouses and bars, cafes and restaurants. The canal harbours many historical wooden ships.